This is quite possibly the world’s most badass jogger — and the luckiest. A man was trail running in the Colorado wilderness Monday when he was attacked by a mountain lion. The victim was jogging on West Ridge Trail at Horsetooth Mountain Open Space when he heard something behind him. That’s when he turned around and was attacked by a young, male mountain lion. Even more impressive, the runner used his bare hands to choke the big cat. The jogger, who has not been identified, managed to get himself to hospital, and wildlife officers along with the Larimer County Department of Natural Resources, were notified. What happened is incredibly rare. Wildlife officers found the body of the cougar, along with some items the victim left behind on the trail. The animal will undergo a necropsy. So far, the cat tested negative for rabies and was found to be under a year old. In the last century, fewer than 20 fatalities in North America have been caused by cougars. 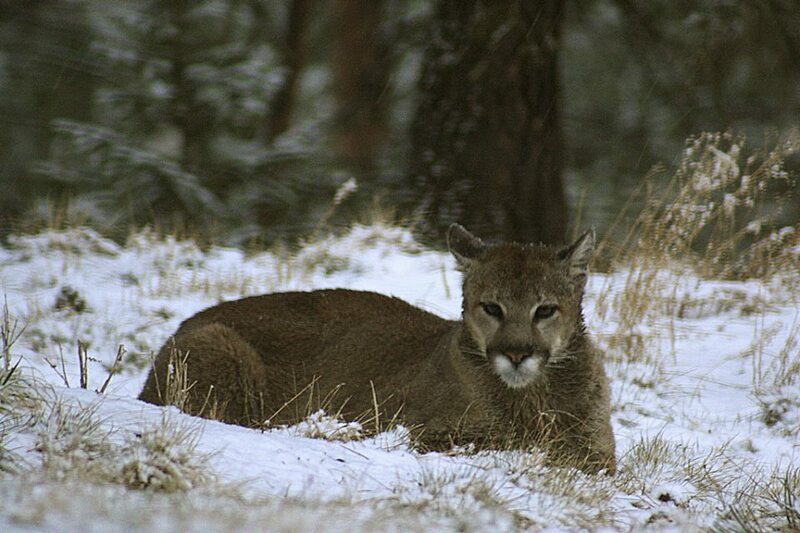 Since 1990, Colorado has counted16 people injured by cougars, and three fatalities. Officials have now closed the Horsetooth Mountain and Soderberg trailheads at Horsetooth Mountain Open Space after more mountain lions were seen near the scene of the attack. Patrols have also been increased. The big cats are usually pretty elusive and avoid confrontation. But if you ever find yourself face-to-face with one, officials offers some tips. Do not approach a cougar. Give them a way to escape. Speak calmly and firmly to it. Move slowly and never turn your back. Stop or back away slowly, if you can do it safely. Look as big as you can. Raise your arms, open your jacket, pick up children. If the cat is aggressive, throw stones, branches and wave your arms slowly. Colorado’s governor even weighed in. One Comment on "Colorado jogger survives mountain lion attack by strangling the big cat"